Good for people. Bad for bugs. 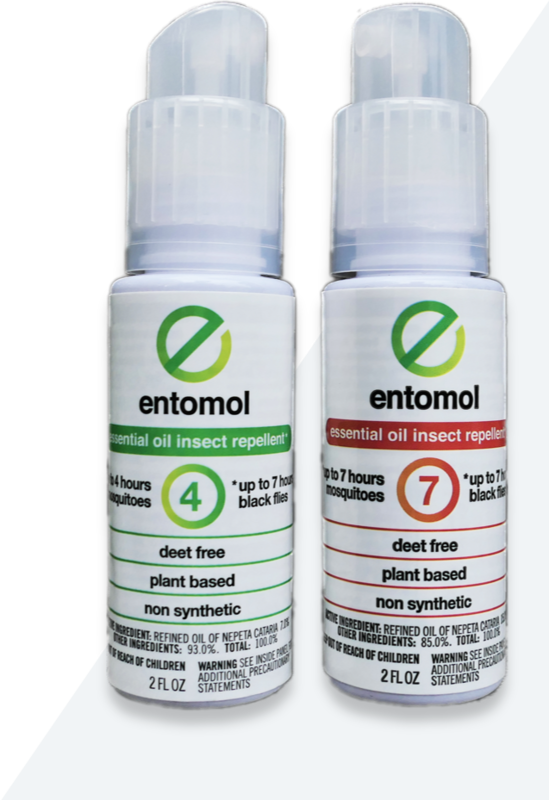 Entomol HCO is the world’s first essential oil, EPA registered insect repellent with the proven efficacy of DEET. Proven effective for up to seven hours, Entomol HCO repellent is safe enough for infants and effective enough to provide maximum protection against insect borne disease. At last, a natural alternative that’s as effective as a chemical-based product and is registered to the strict standards of the EPA. Entomol HCO is the only essential oil solution to provide the efficacy of any product containing DEET, but in a product that is safe, non-toxic and can be used to protect every member of your family (including infants) without the worry of putting toxic chemicals on your skin and thus in your body. Entomol HCO is a green, sustainably produced product that will benefit agricultural communities and provide safe, effective protection for consumers everywhere. There are many product development opportunities for Entomol HCO, such as wipes, spatial applications and other products for the pet & livestock industry that we are currently exploring and testing. The active ingredient in Entomol’s repellent is Hydrogenated Catmint Oil (Entomol HCO), which is derived and formulated from the catmint plant backed by a DuPont patented process. Entomol has a 10 year exclusive with DuPont on production of the active ingredient. In other words, we are the only source for this product worldwide. Initial field trials and supply chain development have been completed. Ongoing development will continue to further optimize all aspects of production to maximize cultivation/extraction/yield technologies. . Entomol has developed it’s own hydrogenation process, thus generating IP, with more underway in agriculture and formulation R&D. Over 800 acres of plantings are planned for this season and will be ready for harvest/processing during late 2019. 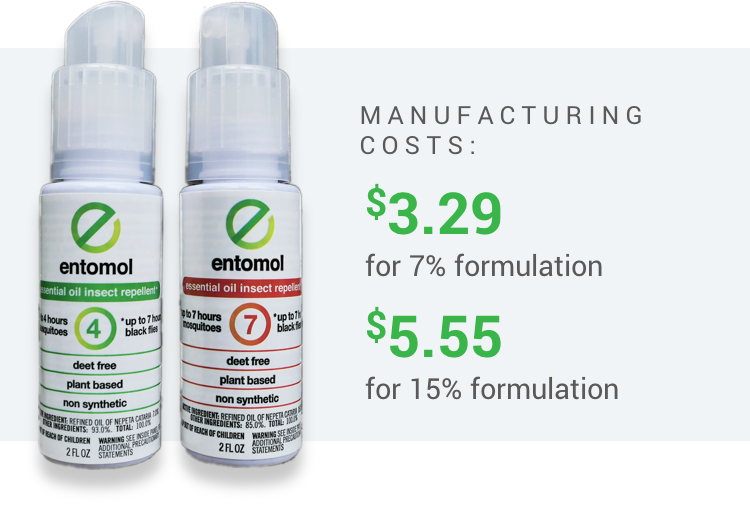 Output from 2018 plantings/commercial trials will create enough supply for 137k 2-ounce bottles of 7% and 15% formulated product, sufficient to complete an extensive market test in early 2019 for Entomol’s customers. 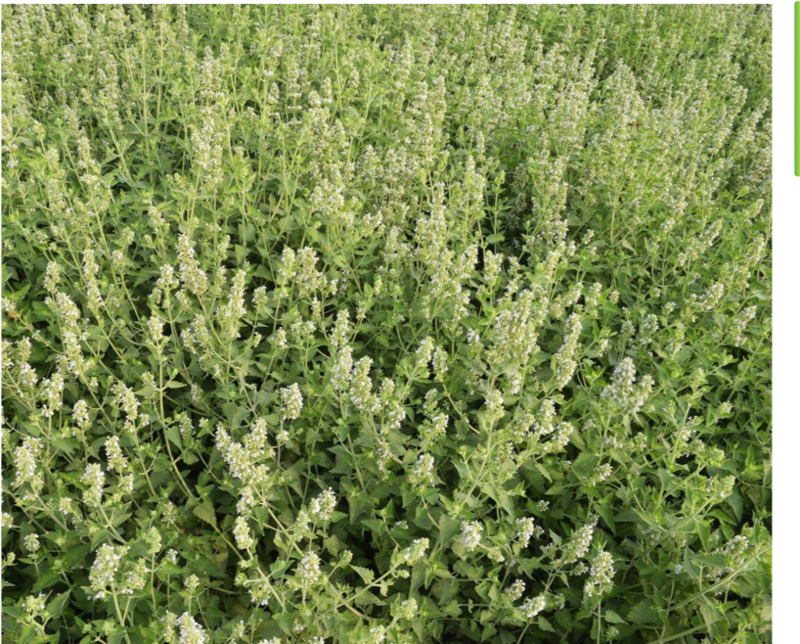 We are contracting with the two largest growers of catmint in North America located in Canada. They are able to scale up by hundreds of acres over the next couple of seasons. We have begun trial acreage with growers in Oregon, Idaho, Montana and Nevada this year (2019) to allow for a major increase in production acreage in 2020. The acreage in our financial projections are very conservative estimates we fully expect to exceed. All producers we will be using initially have their own extraction capabilities using distillation. We will purchase the HCO they produce. We are conducting research on CO2 and ethanol extraction for optimizing the extraction rates and creating a multi-crop process to work with hemp and other specialty crops. The rapid growth of hemp in agriculture will create new infrastructure that we need to leverage for our crop. Manufacturing costs at full scale production (FY2020) for a 2 oz spray bottle are currently budgeted to be $3.29 for 7% and $5.55 for 15% formulations respectively. We expect to reduce these costs as we scale and further optimize the process from field to bottle. Our current plan is to sell the bottles at retail for $9 and $12 respectively. R&D will always be ongoing with product development and registrations with the EPA and other regulatory agencies in various international areas for release of new products. We are working with Rutgers University on improved seed genetics and the Koch Foundation in Australia for product development and testing as a spatial repellent application; early results of which have proven to be very effective. The worldwide market for spatial repellents is by magnitude larger than sprays or lotions. Mark has 30 years of experience in developing brands of companies and products for Fortune 500 companies and Silicon Valley startups. He's launched brands in Asia and Europe and a successful non-profit, Fair Trade business in Laos. Doug served as Chairman and CEO of Tatum LLC for 17 years, growing the company to the largest executive services consulting firm in the US. He's a recognized expert on capital markets and entrepreneurial growth business, having testified before Congress on many occasions. Doug is the author of the award-winning "No Man's Land: What To Do When Your Company is Too Big to be Small and Too Small to be Big." Sally has over 35 years of experience in the field of Finance & Accounting, working primarily in the Food Manufacturing space. She has served as Chairman of the Association For Financial Professionals and has several years of Treasury experience from her time at Chevron Corporation. Dr. Sheth is a renowned scholar and world authority in the marketing field, having published more than 200 books and research papers on various areas of marketing and business strategy. He is the Charles H. Kellstadt Chair of Marketing in the Boizueta Business School at Emory University. He's also a government advisor to the countries of India and Singapore, helping them to develop policies and opportunities for economic development. Jayant is an Indian lawyer and Chartered Accountant presently working as an independent Organizational & Management consultant to large Indian companies. He also serves as Co-Founder and Director-Business of Academy of Indian Marketing. Brent served as Senior Director of Marketing and Sales, and has more than 20 years of experience with large healthcare corporations. Currently the Founder and Managing Director of INC. Navigator, an online consulting service for emerging companies, Brent has also written numerous articles on business strategy for many business publications. Mark worked on this project while employed at DuPont CR&D, is named as co-inventor on several key patents in the IP estate, and developed the analytical chemistry that underpinned the EPA registration of HCO as a bio-pesticide. He's an expert in organic synthesis, catalysis, natural product chemistry, plant oil extraction, characterization, analysis and chemical modification. Scott is considered a pioneer and recognized leader in botanical insecticides. He's the Founder of Carroll-Loye, with 20 years of experience serving a global clientele in the development and registration of insect repellents.